At OCS, we engage our students in exciting and challenging events that are held annually. We encourage all of our students to take part in these enriching events. The annual OCS Science Fair is an exciting opportunity for students in grades 7 and 8. Students begin working in November on a scientific experiment, innovation, or study in a certain area of interest, applying the scientific method and critical thinking skills they are learning in class. This process is carried out through careful guidance at school and time spent at home. At the OCS Science Fair in February, our budding young scientists orally present their projects to judges, peers, and members of the OCS community. This annual event allows students to demonstrate their understanding of the topic and discuss scientific innovations and ideas. Winners from the OCS Science Fair are eligible to advance to the Bay Area Science and Engineering Fair (BASEF). On an annual basis since 2001, OCS has had winners at BASEF who have continued forward to the Canada Wide Science Fair. Consequently, OCS has a rich history of winning awards both regionally and nationally for science fair projects at both the grade 7 and grade 8 levels. The grade 6 class celebrates Canadian heritage as they present their historical research projects at the annual Heritage Fair. Students research and present various groups who have immigrated to Canada over the past two centuries. The inclusion of costumes and ethnic food at this fun event helps to provide a wide variety of learning for everyone involved! All OCS field trips are designed to expose students to a wide variety of topics, occupations, hobbies, professions, areas of study, or even places. Students from every division (PK/JK/SK, Grades 1-3, Grade 4-6, and Grades 7-8) have the opportunity to attend an arts performance each year. The shows vary from year to year, with productions such as dramatic plays, circus performances, musicals, and instrumental ensembles. Locations have included the Burlington Performing Arts Centre, Stratford, the Shaw Festival, and Young People’s Theatre. Field trips are utilized as Type I, II, or III opportunities as part of our ongoing Schoolwide Enrichment Model. 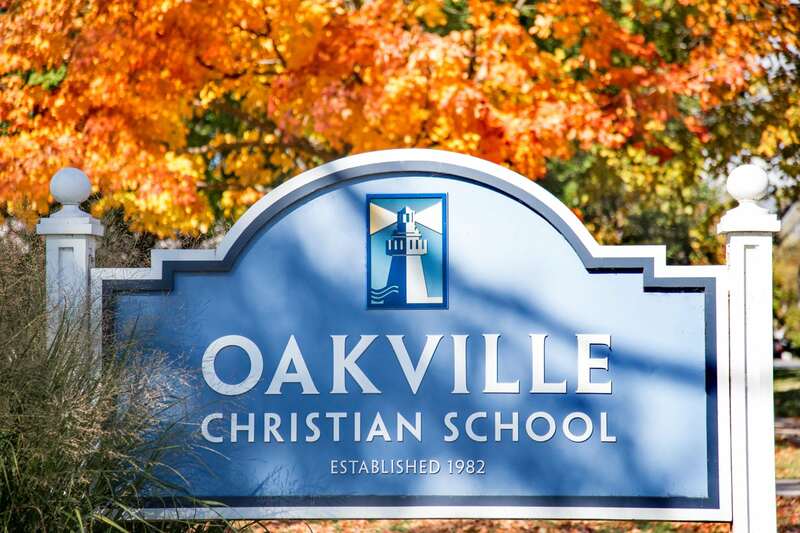 At Oakville Christian School, we encourage students to participate in competitions that test their knowledge and challenge their thinking. Beginning in Grade 2, students have the opportunity to compete against other schools in spelling bees and speech meets. Younger students memorize Bible passages while older student write their own speeches. Beginning in Grade 3, mathematics competitions are used to challenge and lead capable students to develop their problem-solving skills, while exposing students to advanced topics and rich learning tasks. We are proud of our students’ records of success in these competitions. Many students prepare for these competitions as an enrichment activity in their math classes. The contests reinforce problem solving skills learned in class, push students to apply their knowledge in new ways, and stretch them by exposing them to curriculum they will see in their future math education. Students are recognized for their success within the school, province, and on a national level.